1. 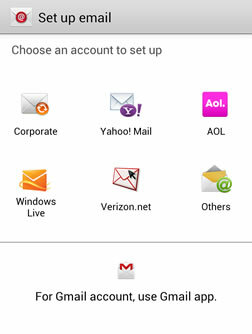 From the Home screen, touch Menu and then touch Settings . 4. 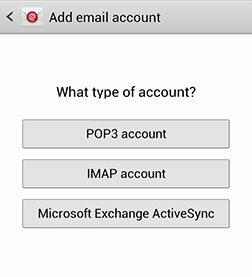 Select the Others account type to set up your POP3 email account. 5. 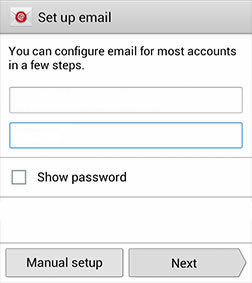 Touch Manual setup [Do not insert email account details]. 6. 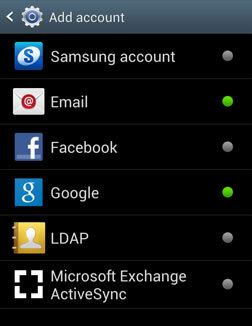 Choose POP3 account type. Delete email from server: choose option. 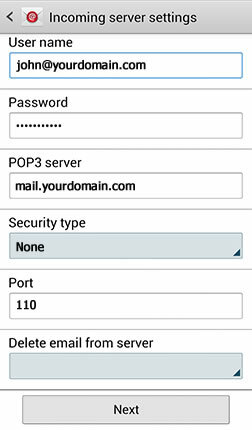 SMTP server: mail.your domain or your Internet Service Provider's (ISP) outgoing mail server. 9. On the Account options screen. Touch [Next] when you have finished making your selections. 10. 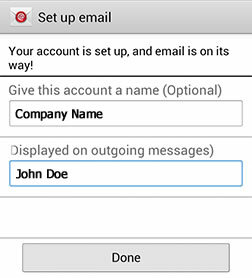 To differentiate this account from other email accounts, enter your account name. 11. Touch Done to complete the setup process.